Who won my Ghirardelli Intense Dark Chocolate Giveaway? Thank you to my 6,236 readers who entered this giveaway! Announcing the 4 lucky winners below! If you won, remember that you have to respond to my email within 72 hours in order to confirm your prize. If you think you might have won, but didn’t get an email from me then please contact me. Don’t forget to get your name in the virtual hat in next week’s giveaway to win a set of Eco-Foil pans and a $100 American Express gift card! That’s awesome. I’m soooo excited to win. Woooohoooo. Thank you Freebies4mom!!!! COOL! Thank you! Hey someone has to win, why not me?! Looking forward to receiving it. congrats everyone that won! I do have one question…probably a dumb one but what are the numbers before their names for? Woo hoo!! I won!! 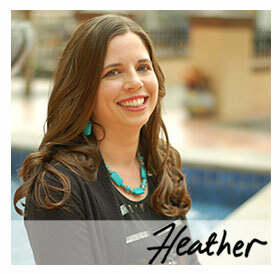 Thank you so much Heather! My whole household will be THRILLED to have some Ghiradelli!